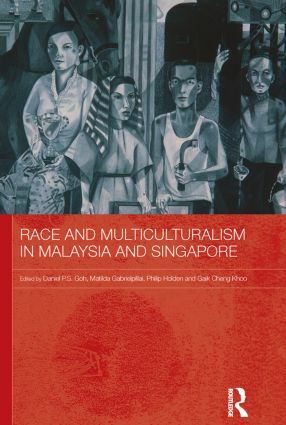 This book explores race and multiculturalism in Malaysia and Singapore from a range of different disciplinary perspectives, showing how race and multiculturalism are represented, how multiculturalism works out in practice, and how attitudes towards race and multiculturalism – and multicultural practices – have developed over time. Going beyond existing studies – which concentrate on the politics and public aspects of multiculturalism – this book burrows deeper into the cultural underpinnings of multicultural politics, relating the subject to the theoretical angles of cultural studies and post-colonial theory; and discussing a range of empirical examples (drawn from extensive original research, covering diverse practices such as films, weblogs, music subcultures, art, policy discourse, textbooks, novels, poetry) which demonstrate overall how the identity politics of race and intercultural interaction are being shaped today. It concentrates on two key Asian countries particularly noted for their relatively successful record in managing ethnic differences, at a time when many fast-developing Asian countries increasingly have to come to terms with cultural pluralism and migrant diversity.